As far as markets are concerned, the do-nothing option is far less preferable. When it looked last year like the Federal Reserve was ignoring a looming slowdown, Wall Street revolted and drove stocks to around bear market levels. But the question of what exactly to do is not easily answered and likely to vex officials both at the central bank and on Capitol Hill for months and perhaps years ahead. 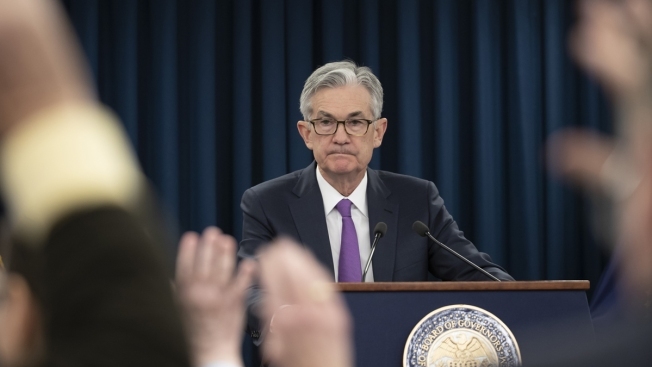 For Fed Chairman Jerome Powell, economists see heading off a recession entailing a mix of rate cuts and an even more aggressive move toward ending the central bank’s balance sheet reduction. For President Donald Trump, widespread sentiment is for ending the trade impasse with China and getting an infrastructure improvement program going. Both face substantial challenges in putting together the right mix. That makes this a critical time. Policymakers face a risk of not overreaching to correct for a recession that may not come, or seeming too complacent and risk causing a downturn simply by inaction. The sign most of Wall Street is watching now is the yield curve, or the spread between various maturities. Last week, the shape inverted, with the 3-month Treasury rising above the benchmark 10-year note. Virtually every recession the U.S. has seen since World War II has been preceded by an inverted yield curve. That has some market participants feeling like the time to act is now, and to do so aggressively. All eyes will be on the Federal Reserve in the coming months. Officials on the policymaking Federal Open Market Committee indicated at their meeting last week that they would hold the line on rates this year. But the market is betting on a rate cut as soon as September and is assigning about a 25 percent chance to two reductions by the end of the year. The implication is that should inflation become a threat — it has not been for most of the past decade despite the Fed’s historically easy monetary policy — it can be controlled with rate increases. For the moment, Blitz advises the central bank to get back in tune with the market and economic signals after choosing not to react to the first signs of a global slowdown in 2018. The Fed already has shown some signs of accommodation and at least a nod to the potential of weakening conditions. Up until it revised its forecasts at least week’s FOMC meeting, the committee had been indicating two rate increases in 2019. In addition to reducing that forecast to zero, the committee said it would be winding down a program in which it is reducing the value of bonds it holds on its balance sheet. That process will begin to taper in May and then stop completely in September. “Make no mistake about it, the pull-forward on the end of quantitative tightening and how they’re going to manage the balance sheet after September is an ease,” Blitz said. Whether it matters is another issue. Major stock market averages are actually negative since the Fed announced its dovish intentions, signaling that U.S. monetary policy may not be enough to stave off a slowdown that looks global in nature. Indeed, the above-trend growth in GDP since Trump became president has come on the back of massive fiscal adrenaline, courtesy of a huge tax cut, deregulation and hopes for infrastructure spending. Keeping the momentum going is a high-stakes game for the president. Zandi modeled various political scenarios and each foundTrump easily winning re-election in 2020 — if the economy can stay afloat. The momentum early in the year is not on Trump’s side, nor does it seem to be pointing to recession. The final reading of fourth-quarter GDP showed growth at just 2.2 percent to finish off a year where gains hovered right around 3 percent. However, estimates for the first quarter show an increase of just 1.5 percent, beginning what could be a tough road ahead. The administration is expected to roll out an infrastructure program aimed at boosting growth, but changes of its passage are slim. Democrats controlling the House are unlikely to want to give Trump an economic win with the election hovering just overhead. “If I was in the administration right now, the best thing for them to do is get this trade stuff closed and for Trump ... to shut up and let the economy be,” Blitz said. That, of course, is the other option, and it’s one not being completely dismissed. Many Wall Street economists, in fact, believe the yield curve inversion is not as ominous as usual, and some are still making room for a rate hike either later this year or early in 2020. Among Snaith’s concerns are that the economic data suggesting a slowdown could be clouded now by the government shutdown and temporary weather factors. If he was a policymaker, he would wait, despite how much Wall Street wants easier policy.